I would rather speak about Hope. Always! It is the only thing stronger than fear. That's Truth. But... while I love to speak Hope, there's another side that needs to be heard. And that's Sadness. There's something about a terminal cancer diagnosis... It can bring fear and panic, often anger and perhaps bitterness, then as the reality sets in, most will begin to experience a grief born of great loss. A loss of health, of hope, of confidence, of time, and ultimately even of life itself. So often, the moment sadness starts to push up, we shoo it away, hammer it down, and seal it shut. We are so tempted to resolve our feelings with quick fixes. We ignore our heartaches or bully them away. When tears emerge, we hide them, brush them off, or shame ourselves. But what if, for a moment, we spoke our sadness? What if we invited it to rise and gave it space to breathe? What if our sadness from years ago or just yesterday came to the surface and was met with welcome? What if our hearts are stuck back in high school or a painful divorce or a miscarriage? Can we give ourselves permission to still hurt? Even if we’ve been single forever, can we still talk about our longings without apologizing? Moving into this new year, healing is waiting, knocking at the door of our hearts eager to be let in. I offer you permission to be sad. You can cry till your eyes hurt and throat burns. You don’t have to have a good reason to break down. You can cry even if you’ve been crying about the same thing for years. You don’t need to explain it with perfect sentences or complete thoughts. You have permission to feel the memories that make it hard to breathe. Even if your pain is from childhood or your college years, give it permission to come up. Give yourself grace to invite sadness — big or small — to the table of your soul. If someone were to sit beside you today and ask you what you’re sad about, what would you say? You might squirm, murmur a few things, or be silent. But if they waited patiently, what sadness tucked way deep down in your soul would you share? What if the person sitting beside you was Jesus? Jesus, who wept with Mary and Martha when their brother, Lazarus, died. Jesus, who helped a father care for his sick daughter. 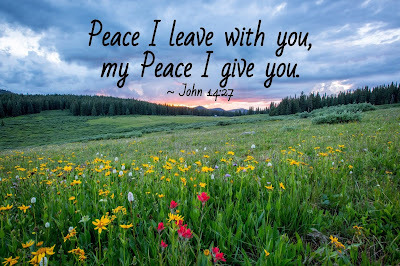 Jesus, while dying on the cross directed his friend, John, to comfort His mourning mother. Jesus, who leans into our greatest sadness and says, “Come.” He is your Counselor, Friend, and Father. Let Jesus comfort your soul. 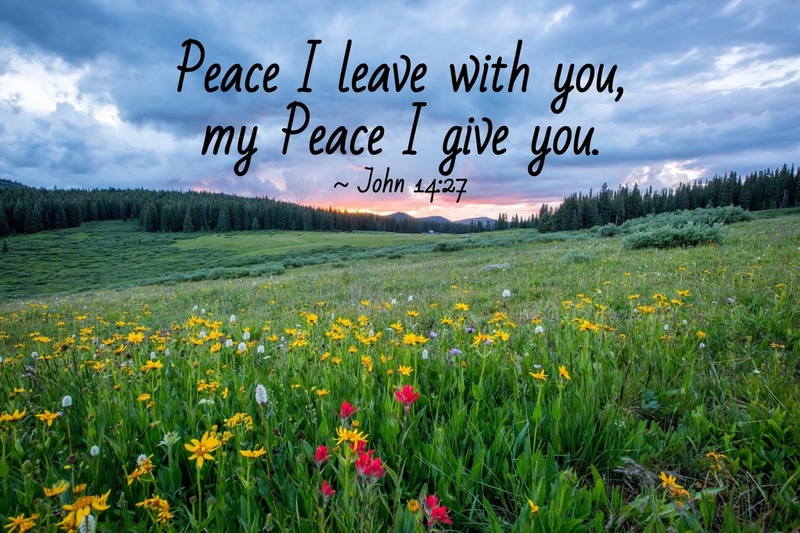 "Peace I leave with you, my peace I give you. Do not let your hearts be troubled and do not be afraid." Sadness will come. A terminal diagnosis just cannot be "wished" away. Yes, Hope in God's sure promises will walk side by side with our sadness. Thanks for stopping by. The fact that you're here means pancreatic cancer has probably touched your life in some way. It's hard. I know. I am the daughter of an adored mom who has battled terminal pancreatic cancer. She passed away on December 4, 2011. Pancreatic cancer has forever changed the story of our lives, and I know we are not alone. This blog is dedicated to all who are valiantly facing the fight of their lives, and to the loved ones walking shoulder to shoulder every step of the way. May Grace cover each moment of our Journey, bringing us strength, and courage, peace and Love. If you or a loved one is currently walking this cancer road, we humbly invite you to read more about our journey over at The Pancreatic Cancer Journey.